Lipiflow dry eye treatment can help if you suffer from dry eyes that are itchy and even painful. Do you ever notice a lack of tears in your eyes? Have you sometimes experienced moments, or even days, when your eyes are so dry and painful that you can barely open them? Do your dry eyes become so bad that you are sensitive to light? Can you barely stand to look and focus on a computer screen without your eyes hurting? 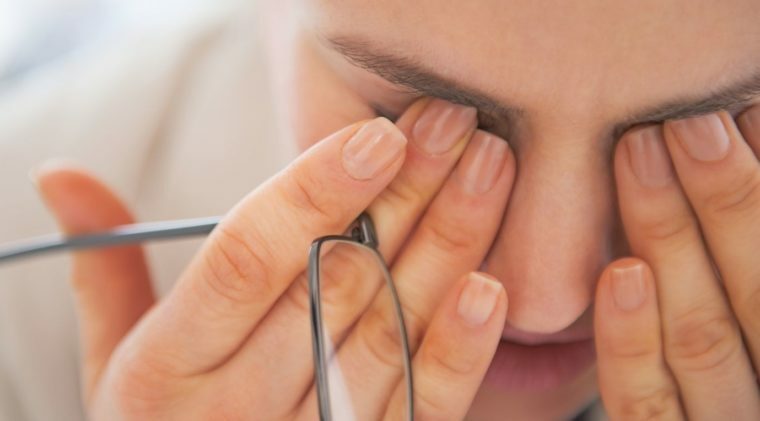 If you are familiar with these symptoms, and experience them daily, then you could be one of the thousands of people who suffer from Dry Eye Syndrome. This uncomfortable condition is related to the way your eyes preserve tears. Different factors can cause your eyes to lose their ability to maintain a moist, comfortable environment, and in turn you may experience irritating symptoms. There are many ways to treat this condition, one of which this article will focus on: Lipiflow dry eye treatment. Keep reading to find out more about Dry Eye Syndrome and learn how Lipiflow can be an effective solution to your dry eyes. Dry Eye syndrome occurs when there are not enough tears to keep the surface of the eye properly moist and lubricated. If your eyes are functioning properly, they will work to maintain a healthy tear film across the eye. The job of this tear layer is to protect the eye from dust and other small particles, as well as make opening and closing your eye easy and painless through reducing friction. An important factor to the functioning of your eye is oil, which will be discussed more later. Without it, your eye cannot maintain a healthy cornea and conjunctiva. This can lead to the eye feeling very uncomfortable and irritated. Dry Eye Syndrome may cause your eye to feel scratchy, itchy, painful, and of course dry. You may even notice some discharge from the eye. Many people who suffer from Dry Eye Syndrome also experience various degrees of light sensitivity and even wind sensitivity. Eye sensitivity and eye fatigue are two more symptoms commonly experienced when dealing with Dry Eye Syndrome. Dry Eye Syndrome has many causes, including Meibomian Gland Dysfunction, aging, and certain health disorders. Your eyelids have tens of tiny glands that secrete oils. These glands are located right on the rim of both the top and bottom eyelids. These are known as meibomian glands. The purpose of these oils is to prevent the evaporation of the tear film. Without these oils, tears would dry up too quickly, leaving your eye feeling dry and uncomfortable. Meibomian Gland Dysfunction is when those glands become clogged and are unable to secrete that oily substance so important to your eye’s overall function and comfort. Meibomian Gland Dysfunction has various different causes. Your age, if you wear contact lenses, bacterial infections, having high cholesterol, and certain autoimmune disorders are all potential causes of this disorder. Because Meibomian Gland Dysfunction allows tears to evaporate too quickly, it is one of the leading causes of Dry Eye Syndrome. If you are experiencing Dry Eye Syndrome, do not worry. You are not alone. It is estimated that millions of adults throughout the United States suffer from Dry Eye Syndrome too. Over the years, researchers and scientists have developed a variety of treatment options to manage and improve these uncomfortable symptoms. One of the most innovative and popular treatments available to the public is Lipiflow Dry Eye Treatment. 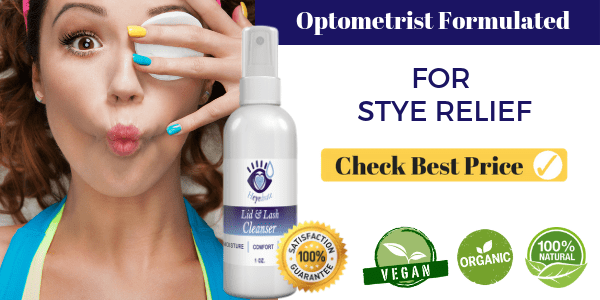 One of the easiest ways to soothe dry eyes is with Heyedrate Lid and Lash Cleanser—a completely vegan, organic, and natural lid and lash cleanser. This unique spray cleans eyelids. Clean eyelids help alleviate dry eyes, sties, red and itchy eyelids, blepharitis, Meibomian gland dysfunction, and contact lenses intolerance. Did we mention it has a 2-year shelf life and is made in the USA? Check it out here! What is Lipiflow Dry Eye Treatment and How was it Developed? Over 25 years of scientific research has gone into the roots of Dry Eye and various treatments for people who suffer from this uncomfortable condition, including Lipiflow Dry Eye Treatment. It was not until the 70’s when researchers realized that the oils your eyelids secrete are important to protecting the tear film on your eyes, which keeps your eyes comfortable and moist. They discovered that, without that oil, Dry Eye Syndrome has a chance to take hold. Research continued and eventually showed that the majority of Dry Eye Syndrome cases resulted from the meibomian glands becoming clogged. With this new knowledge, many doors to potential new treatments were opened. TearScience, a company who studies all things eye-related and develops innovative treatment options for eye issues and disorders, created Lipiflow. Lipiflow is one of the latest solutions to this eye problem that affects many and may be one of the most effective yet. With over 30 patents, Lipiflow utilizes very advanced, forward thinking, and unique technology. It is the only FDA approved device that treats Dry Eye through thermal pulsation treatment, providing therapy that targets both the inner and outer eye lid. The reason it is growing in popularity is because it targets the root cause of Dry Eye Syndrome: the meibomian glands. It works to unclog these glands so that they can easily resume their job of producing oil and preserving tears. Also, unlike many alternative dry eye treatments, Lipiflow does not require the use of any drugs or harsh chemicals. This drug-free approach to treating Dry Eye syndrome has many people optimistic and excited. Continue reading to find out how Lipiflow Dry Eye treatment actually works and determine if it the right way to treat your own dry eyes. At this point you may be getting excited that you just stumbled upon a treatment that might actually provide a long term solution to your dry eye condition. Yet you are probably confused about what Lipiflow is exactly. Lipiflow is a one of a kind procedure that uses thermal pulsation to provide a non-chemical, non-invasive treatment. Unlike creams, drops, or sprays, Lipiflow uses technology and mechanics to treat dry eyes. It does not require any harsh chemicals or drugs to be effective. If this sounds intriguing then keep reading to find out more about this revolutionary device. The Lipiflow system uses a mechanical device to administer heat and pressure that targets clogged meibomian glands, pushing invasive matter out of the glands and away from the eyes. This combination of heat and gentle massage allows it to effectively clean out your eyelids without having to use drugs or chemicals. This allows the tear film to reform over time and for the eventual relief of dry eye symptoms. The Lipiflow experience is overall gentle and even therapeutic. It usually does not cause patients any pain and is over within a matter of minutes. When you receive your Lipiflow treatment, first an anesthetic drop is administered into your eye to slightly numb it and prevent pain or discomfort during treatment. This is the only drug required for the procedure. Then, a disposable eye piece is applied to each eye. The pieces look like a vaulted contact lens. These eye pieces are specially designed to shape over the cornea and protect against damage to the eyeball. Each piece will slide under your eye lids, but will not come in contact with your cornea. Then a second piece that attaches to the first is placed outside the eyelid. Heat and pressure are then applied to the eyelids, giving them a gentle massage aimed to help open up the meibomian glands and clear out clogged residue. This is monitored and regulated by redundant sensors to ensure the sensation is not too rough or aggressive for the patient. The sensation feels like a facial for your eyes! The procedure takes a total of about 12 minutes, and both eyes can be treated at the same time. Within a matter of minutes, the treatment is over and you will likely start to experience the positive effects of your treatment. Many people are concerned about pain and damage to the eyeball. 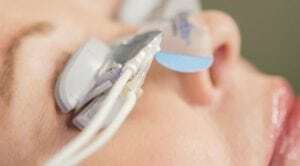 Because the device is inserted under the eyelids, some people fear it will be painful and uncomfortable. For some people, especially those who have never tried contact lenses before, the concept of putting something in your eye may seem scary. It may feel like a very new and weird sensation, but it is usually not painful and very rarely causes issues. The Lipiflow system is specially designed and tested to ensure no damage occurs to the cornea. As mentioned above, the lens applied to your eye is vaulted and only comes in contact with your eyelids and outer eyeball. The Lipiflow treatment is commonly reviewed as feeling good and even therapeutic. The Lipiflow technology was developed and tested for over 10 years, giving its developers much time to test it out and make improvements. It uses very unique and advanced engineering that is unparalleled by other dry eye treatments, hence why it has over 30 patents. Lipiflow uses thermal pulsation technology which, as mentioned above, applies comfortable heat and massages your eyelids. It is safe and FDA approved, so you need not worry about serious physical risks associated with the treatment. Lipiflow: How long does it last? The treatment itself lasts only about 12 minutes. The results, however, last for months. There is an initial sensation of relief as your glands are opened. Yet the true effectiveness of the Lipiflow treatment develops over many days and weeks as the oil production improves and the eye’s tear film is restored. Yes, you do have to be somewhat patient to experience the full potential Lipiflow can offer. However, once you do, the dry eye relief can last for months and, in some cases, years. Depending on the severity and cause of your dry eye condition, the effects of your first treatment may last as little as eight months or as long as two years. One of the first questions that probably came to mind while reading about Lipiflow is: how much money is it going to cost? The cost of Lipiflow may vary depending on the clinic you go to and your health insurance coverage. At this time most insurances do not cover Lipiflow Dry Eye Treatment, but some clinics do explore financing solutions. The average cost of Lipiflow is somewhere between $450 and $500 per eye. So for two dry eyes, you could be spending upwards of $1000. This is not mere pocket change. Like many other medical treatments and procedures, its price tag can easily turn someone off. Yet Lipiflow uses innovative, advanced technology that is expensive to develop and costly for doctors to upkeep. Because of its potential to produce truly effective results, the price is worth it to many people. Where Can I Get Lipiflow Dry Eye Treatment? Lipiflow is available to dry eye sufferers worldwide. Many countries have exceptional dry eye specialists, some of whom offer the Lipiflow solution. There are multiple clinics in the United States alone, including some in Virginia, Ohio, California, Maine, and New York. It is likely that there is a clinic that offers Lipiflow treatment in your region. To find a location, simply do some research online to find a dry eye specialist near you. How many Times Do I Need To Do Lipiflow Treatment For it to Be Effective? Most people see great results with only one session of Lipiflow Dry Eye Treatment. It has the ability to provide long-term dry eye relief. How long this relief lasts depends on the person and their own personal dry eye condition. Many people who find success with Lipiflow need to have the treatment repeated. However, it is not a regular occurrence in their healthcare routine. Some people get it repeated every two years to ensure their meibomian glands continue to function properly and remain unclogged. Others with a more severe case of Dry Eye Syndrome have it done every eight to twelve months. In other words, most people find Lipiflow effective the first time around. However, they need to continue to be treated with the Lipiflow procedure to maintain its effectiveness. Lipiflow is a relatively safe treatment, but as with any treatment, there are potential risks. This is a conversation you will have with your doctor before receiving this dry eye treatment. Trials show that there are few negative side effects of Lipiflow Dry Eye Treatment. Some people reported having red eyes, a sensitivity to light, or a slight burning sensation right after treatment. However, these effects were minimal and subsided quickly after treatment was over. There have been no major complaints about the risks of Lipiflow from patients. For most people who consider and try out Lipiflow, the benefits far outweigh the risks. Lipiflow has been used by countless sufferers of Dry Eye Syndrome, and many people have seen effective, relieving results from this innovative technology. The main question that is probably running through your head as you read this is: does Lipiflow work? Some of you reading this may think it is too good to be true. If you are still skeptical about this dry eye treatment, read the most common pieces of feedback from people who have used Lipiflow themselves. Maybe hearing other people’s accounts will help you decide if Lipiflow would be the right treatment for you. Here are some of the most common reviews from a variety of Lipiflow consumers. Before Lipiflow, patients throughout the country experienced painful and uncomfortable symptoms of Dry Eye Syndrome. One patient described the horrible pain as “knives sticking in her eyes”. Who would ever think that something as simple as dry eyes could have such an effect on a person’s overall comfort? When you are dealing with something so nagging and noticeable day in and day out, it can start to have a significant effect on your quality of life. Many people with Dry Eye Syndrome experience a lower quality of life because of it. Many victims of this condition feel helpless and desperate for a solution. Those who have tried every eye drop and cream on the market turn to bigger solutions, which is where Lipiflow comes in. Many people throughout the country have tried Lipiflow and been impressed with the results. They were able to experience the feeling of healthy, comfortable eyes and improve their quality of life once again. Here is a summary of Lipiflow reviews. Many people leave their first treatment significantly surprised with how good their eyes feel. After dealing with it so long, it is easy to forget what a healthy eye feels like. Patient after patient left their Lipiflow treatment amazed at how refreshed their eyes felt. After the first treatment, they were experiencing significant improvement in their dry eye symptoms within a matter of days or weeks. They were seeing quick results from just one round of treatment, which for many people who struggle to find dry eye treatment is unheard of. After the first Lipiflow session they experienced some relief, relief that many people spend a lot of money and time to find. After a few days, a significant difference could be felt in the overall health of their eyes. 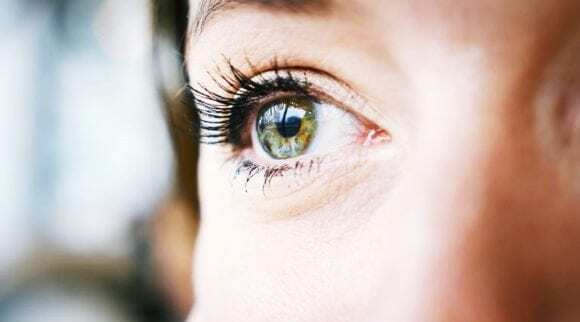 In general, patients feel a minor initial relief of symptoms right after their first Lipiflow treatment, then experience a gradual improvement of the condition of their eyes. Many patients say the results are better than they expected. Many people with dry eyes usually do not expect to receive any long-term relief of their dry eye symptoms, and often go into Lipiflow with somewhat low or meek expectations. They are then very pleasantly surprised when they see real and long-lasting results right off the bat. 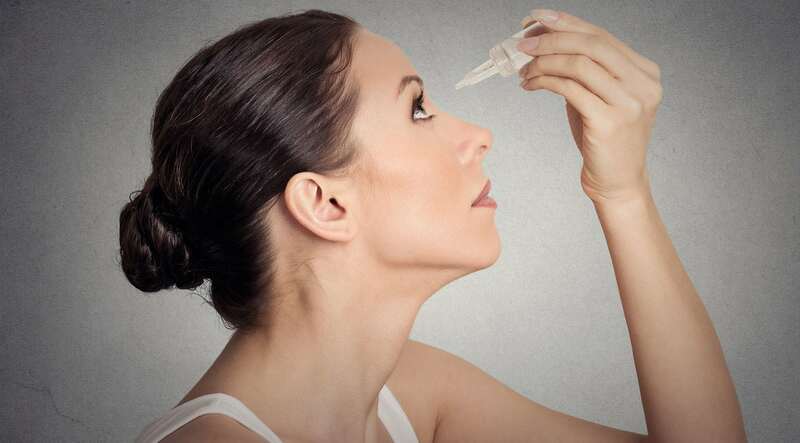 Some patients remarked about how many over the counter eyedrops and other dry eye treatments were relieving for a few minutes, but after a short amount of time, their eyes would feel painful, dry, and itchy once again. These treatments would provide relief, but not a solution. This was very frustrating and defeating to experience, making it seem like there was no solution. Yet when they tried out Lipiflow Dry Eye Treatment, they were astounded by the long-lasting effects. 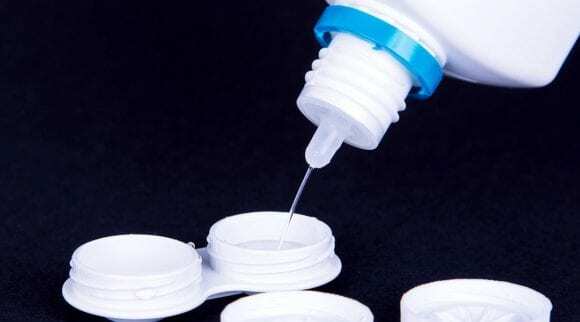 Lipiflow provided dry eye relief that lasted, which is hard to get from most eye creams and drops. Some patients whose eyes were so dry that they could not even cry, said the long-term effects of Lipiflow gave them back their ability to shed a tear. Lipiflow has the power to produce long-lasting results because it targets the root cause of the majority of cases of Dry Eye Syndrome: clogged meibomian glands. Through cleaning out the glands, Lipiflow allows your eyes to produce oils and properly lubricate the eyeball. It provides more than just short-term relief. Lipiflow provides a solution to the problem through targeting the root cause of dry eye symptoms. Patients have taken notice of its ability to provide long-lasting effects. During the actual treatment, many patients described the experience as being enjoyable, even therapeutic. 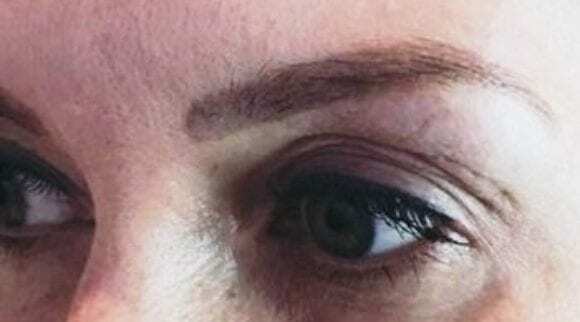 Maybe it is because they were feeling moisture in their eyes for the first time in months, but the experience of receiving Lipiflow treatment is like getting a steamy massage for your eyelids. At first, some people may feel uncomfortable with the general sensation of having something placed under their eyelid. For people who never wore contact lenses, this can be an odd sensation. Yet after they get used to the feeling, it often feels quite soothing. This nice feeling is the feeling of those glands opening up on the lids of their eyes, allowing oil production to begin and in turn, causing a soothing sensation. Not only will patients likely see a gradual improvement of the moisture in their eyes over time. However, the treatment itself will give their eyes a spa-like, relieving experience. Lipiflow has proven to be effective for many people who have used it. In addition to having eyes that feel rejuvenated and fresh, having restored eye health presents the potential to change so many other life factors that once stood in their way. Therefore, here are some of the ways having restored eye health can benefit you, besides simply improving you comfort. It is almost unbearable to wear contact lenses when you have Dry Eye Syndrome. 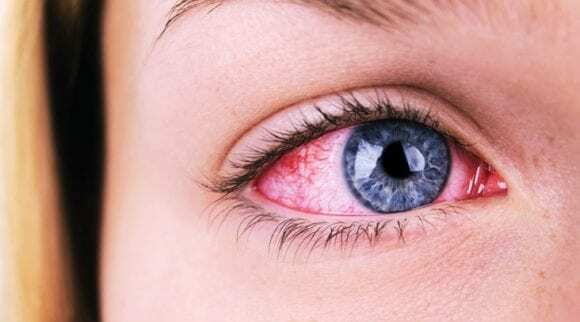 Contacts can make your eyes itchy, dry, and painful all on their own, causing healthy-eyed people to experience eye irritation and discomfort. But if you already suffer from Meibomian Gland Dysfunction, then contacts are almost out of the picture. Sometimes Dry Eye Syndrome can even be caused by contacts that are not cleaned properly. Everyone who has bad vision knows how inconvenient glasses can be at times. Therefore, wearing contacts is an easy way to have that convenience. Think about it: wearing glasses while exercising, swimming, or for a fancy event is not ideal. The only solution for someone with Dry Eye Syndrome is to fix their eyes. An effective Dry Eye treatment like Lipiflow would make contacts a feasible option. 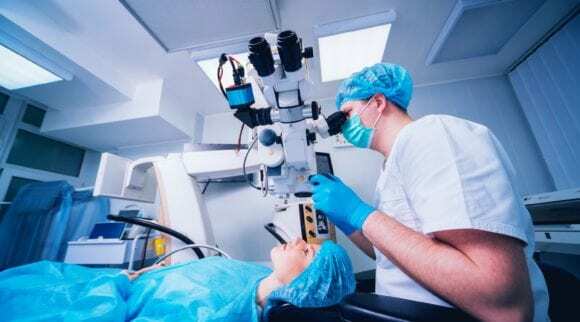 Repetitive, invasive eye surgery can encourage Dry Eye Syndrome, but Dry Eye Syndrome can also prevent someone from being able to get eye surgery. Many conditions, such as cataracts, require invasive eye surgery. However if your eye is too dry, a surgeon will not be able to operate. If you have a serious eye health problem that requires surgery, but your eyes are too dry to receive it, you may be desperate for a solution. Lipiflow could be just the solution you need to gain a healthy eye that could withstand a serious surgical procedure. People with severe cases of Dry Eye Syndrome can experience light sensitivity, which can prevent them from enjoying many fun, everyday activities. From stepping outside to enjoy the sunshine, to being in a strongly lit room, they can feel very uncomfortable in relatively normal situations. Lipiflow has the ability to relieve people of light sensitivity caused by dry eyes. This means these same people who could not step outside without sunglasses can fully enjoy their lives and not think twice about their eyes. Screens are all around us. From computer screens to smart phone screens, to television screens, it is almost impossible to avoid them in this day and age. Many jobs require at least some screen time. Many people with dry eyes have trouble focusing on a screen for an extended period of time, which nowadays can put many limitations on them when it comes to work or school. Lipiflow can give people back their ability to focus on bright screens, taking away a lot of complications they may experience in the office. It is incredible the domino effect one effective treatment can have. You would never think it, but Lipiflow could be the solution to more than just dry eyes. Although proven to be effective, Lipiflow is expensive and some people cannot afford its high cost. For those of you who have opted out of this somewhat pricey treatment, hope is not lost. There are alternative dry eye treatments available that are effective while being more budget friendly. 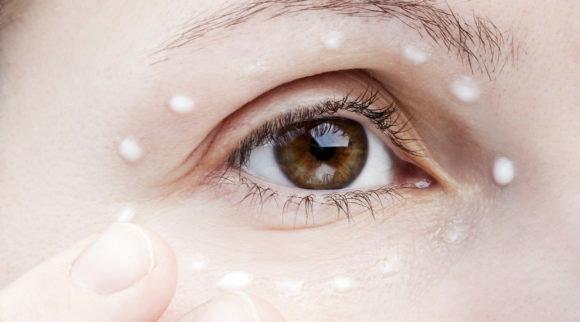 Eye creams and drops are common initial choices for dry eye treatment. Depending on the severity of their eye condition, many people find relief in these treatments. 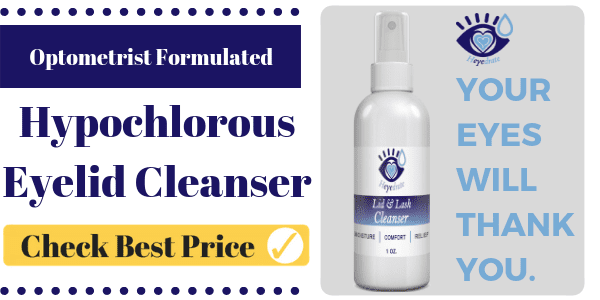 Another option is a topical solution you spray onto your closed eyes to help unclog the glands on your eyelids and relieve your eyes of dryness. There are many of these sprays on the market, but one of the most trusted products is the Lid and Lash Cleanser by Heyderate. 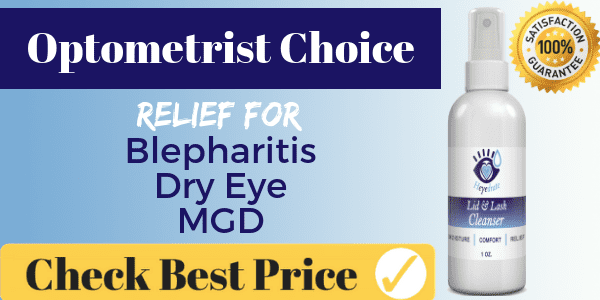 With over 500 reviews on Amazon, this unique spray provides a deep clean of the eyelids, helping reduce the dryness, itchiness, inflammation, and irritation you may experience if you have Dry Eye Syndrome. It also serves as an antibacterial treatment, helping heal eye infections. Not only is it effective, but it is good for your skin. 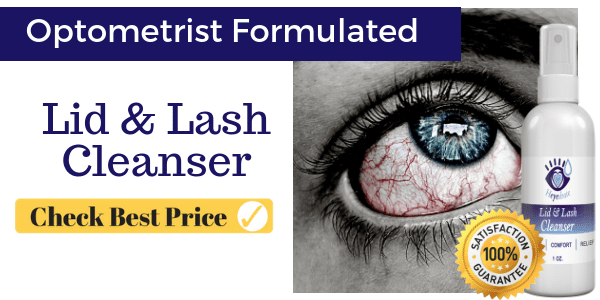 It is not full of harsh chemicals and ingredients that will further irritate your eyes. It’s made of 100 percent vegan, all natural, and organic ingredients. It naturally aids your body to heal itself and naturally encourages it to function as it should. This product is very easy to use. Simply cleanse the eyes of any makeup or sweat. Spray the eyes with the solution and gently rub into the rims of the eyelids and lash line. Simply let it dry and repeat every morning and night for the best results. 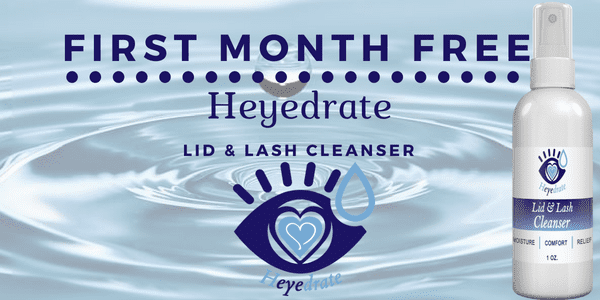 The best part is the Heyedrate Lid and Lash Cleanser is dramatically less expensive than Lipiflow treatment and is a good alternative for those of you on a budget. It is easily available online and can be shipped right to your mailbox. Conclusion: Is Lipiflow Worth It? When it comes down to it, this is a personal decision to make. There are many factors to consider before deciding on the right dry eye treatment for you. For most people, it is price that turns them away from Lipiflow. The procedure is safe and effective, so the price tag is really the only big negative. On top of the price, Lipiflow is not covered by most health insurances, meaning patients have to pay out of pocket for treatment. Yet for many, the price is well worth it. Know that many people have seen significant improvement in their dry eye condition thanks to Lipiflow Dry Eye Treatment. There is very little health risk and it is FDA approved. For many who consider Lipiflow, the benefits far outweigh the potential risks and cost. If you have tried every eye drop and topical treatment under the moon or have had your quality of life lowered by the severity of dry eyes, then Lipiflow may be the solution you need to get your life back. There is no harm in at least discussing the treatment with your doctor. Who knows, Lipiflow could very well be the end of your Dry Eye Syndrome.